Ex-fun. guitarist and superstar pop producer Jack Antonoff returns with his side project turned full project’s sophomore album, Gone Now. 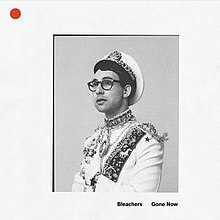 In contrast to debut Strange Desire (2014), Bleachers delve a little deeper into a musical niche here, specifically the arena rock of the 1980s that slowly began to become nearly synonymous with pop. For the most part, this works out for the better. Antonoff has proven time and time again that he has an innate knowledge of how to craft melodies which become instantly anthemic, and his scarce but excellent and diverse choices of collaborators here help the album reach higher heights than their somewhat uneven debut. The musical landscape surrounding Antonoff is still a little muddled and over-the-top, and his insistence on revisiting the same musical motifs on many tracks over the course of the album is awkward at best. But when that huge chorus on a song like “Everybody Lost Somebody” drops, you forget about all of that and want to be a part of that crowd yelling along with him. Antonoff’s musical influences are clearly out in the open over the course of this project. His arena-sized choruses, elements of piano rock and gruff yet tender voice bring to mind artists like U2, and, perhaps most evidently, fellow New Jersey singer Bruce Springsteen. An incredibly successful producer and songwriter himself since the disbanding of fun., Antonoff links up with some of the industry’s best for an impressive and talented team behind the soundboard, still retaining primary credit on every aspect. 3 of the world’s best songwriters in Julia Michaels, Lorde, and Emile Haynie (Lana Del Rey, Bruno Mars) appear to co-write, while a diverse and accomplished team of producers show up in some unexpected places. Fellow Grammy winner Greg Kurstin, who recently contributed greatly to Adele’s 25, appears on two tracks, while a pair of hip-hop producers, OVO’s Nineteen85 and TDE’s Sounwave, both known for working almost exclusively with a single artist in Drake and Kendrick Lamar respectively, somehow fit right in with the 80s pop-rock sound. As soon as opener “Dream of Mickey Mantle” unleashes a huge breakbeat and gang vocals explode “Rolling! Thunder!” you know you’re in for a few moments of well-written pop bliss. Antonoff is a Grammy-winning producer for a reason – these are the most energetic choruses in the game, daring you to join in and scream them as loud as possible. 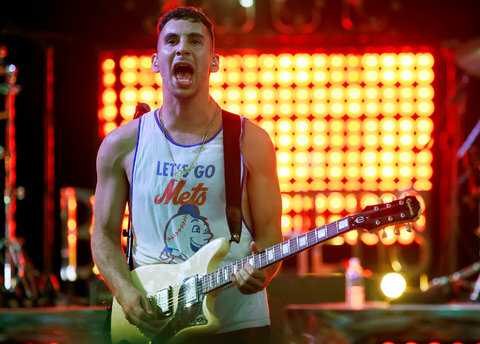 Antonoff is making music closer to the magic of fun. at their best than ex-bandmate Nate Ruess is. Many of these tracks are backed by bluesy piano melodies and fuzzy synths – and while there is not a lot of variation (“Lets Get Married” immediately brought to mind Strange Desire track “You’re Still A Mystery”), this is more complex music than you hear in the pop genre most of the time. It’s all very sugary and cheerful in the best way. Bleachers’ lyrics are often empowering when positive and crushingly relatable when negative, but always with a tinge of hope that things will get better. “Hate That You Know Me” is the beautiful result of four of the leading figures in quality pop music – Antonoff, Kurstin, Michaels and Carly Rae Jepsen – all entering a studio together. Jepsen’s backing vocals elevate the sugar rush to another level…it’s just a brilliantly written pop chorus. Julia Michaels always knows how to flip a lyric and juxtapose the positive and negative aspects of a situation in a poetic way. But this is Antonoff’s album more than anyone else’s, and the sense of musicality he brought to fun. is felt throughout. “I’m Ready To Move On/Mickey Mantle Reprise” opens with his breathtaking layered multipart harmonies, a beautifully simple fireside folk melody at its centre, before running through all of the album’s many motifs once again in its second half. The album certainly lulls a bit in the middle – these songs are all brief little tidbits of happiness, but putting them all next to each other makes you realize the similar tactics Antonoff uses to pull on your emotional heartstrings. “All My Heroes” never really builds up to anything in the same way many of these tracks do, while the too-prevalent 808 drum machine that introduces the overly earnest “Let’s Get Married” seems rather out of place here. While Antonoff is such a lovable, goofy guy that there isn’t much he could to to seem too upbeat and happy, “Let’s Get Married” might be it. Antonoff’s revisiting of musical motifs, a theme on Strange Desire, re-appears here, and while the actual melody of them are often quite good, it begins to become a bit of a cop-out when he sings that “Goodmorning/goodbye to my upstairs neighbour” bit on 4 separate songs. The sheer fact that he can do this at all speaks even further to the interchangeability of many of the instrumentals here. Still, great pop music is harder to find than you would think, and Antonoff is one of the few who really knows what he is doing. He has this down to a science, and his timely and intelligent choices of collaborators shows just how much he is tapped into the ever-changing pulse of the music industry. Sometimes you just need to let the weird-looking guy with the round glasses sing a happy song and cheer you up.